I am very excited to introduce the very new collection of Eniola Hundeyin designer of the ENIOLA DAVID Fashion House. 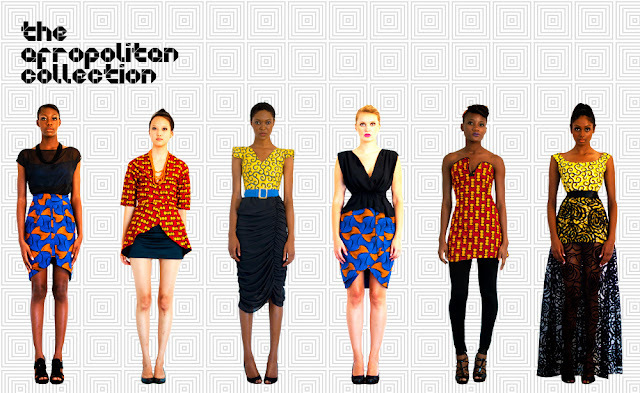 This 6-piece collection features beautifully hand-crafted print designs native to the West African nation of Nigeria. The Afropolitan woman is constantly redefining her image with elegant, but wearable pieces that seek harmonic balances between flair and comfort, thus freeing herself from typically Western notions that falsely characterize traditionally Nigerian attires as costumes merely worn on Festive occasions.(source). Thanks for the support as always Ciaa! I think she did a fantastic job, love the promo pics and vids as well.